Adjacent to Town Square, Shoreline Park recreational identity comes from the 450-foot-long pier. The presence of the pier encourages active (fishing) as well as passive (benches) recreational opportunities. 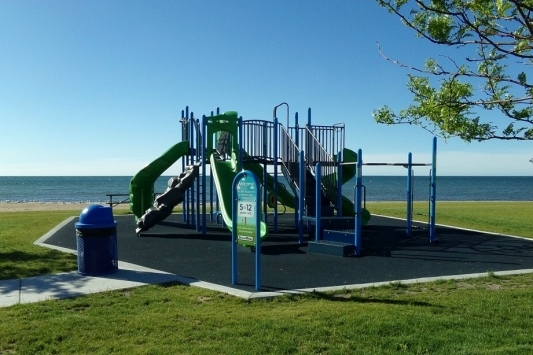 Aside from the pier, Shoreline Park, 429 W. Lake St., is also equipped with picnic pavilions, a food concession stand, restrooms, boardwalk along the beach and playscape for the children. 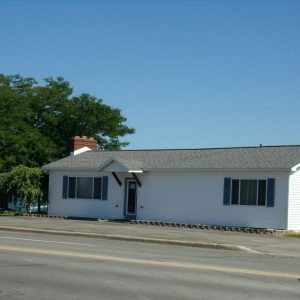 The Concession stand was remodeled in 2012 with new log siding and a steel roof. The park was renovated in 2013 with a DIG Grant. The parking lot area was doubled, new ADA compatible sidewalk that runs across the length of the park, a new playscape , a electric car charging station, benches, bike rack, new lighting and new signage. Two crosswalks were installed to cross Lake Street in 2015. In 2016, the existing restroom was razed and replaced with a new restroom with an additional restroom constructed at the south end of the park. An ADA compatible swing was installed on the existing swing set in 2017. 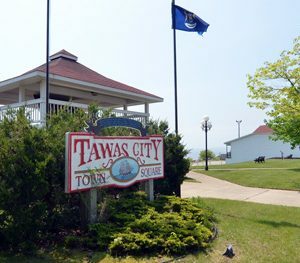 Tawas Point Lighthouse is visible from this park. 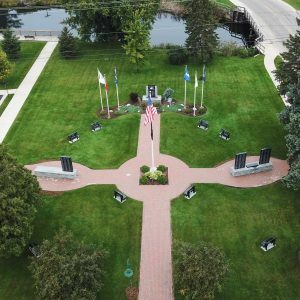 The 8.2-acre park is host to the annual Shoreline Arts & Crafts Show, on Memorial Day weekend; the Tawas Bay Water Front Fine Art Festival the 1st weekend of August, the Tawas Antiques on Tawas Bay the 2nd weekend in August and the Labor Day Arts and Crafts Show on Labor Day weekend. These events attract thousands of visitors. The park pavilion can be rented by clicking on Park Reservation Form.